If you’re looking for another review to lambaste Coldplay as the most generic and overall lamest band around right now, abandon all hope ye who enter here. This is as much a defense as it is a review. Now that we’re all on the same page, let’s proceed. Coldplay’s sound has grown louder and bigger with each succeeding album up to Mylo Xyloto. It’s important to remember that when Parachutes came out, the only real stadium-ready song on it was “Yellow.” Other than that, the band got its start doing more stripped-down, piano- and acoustic guitar-centered alternapop. It’s to Martin and company’s credit that they managed to increase the volume of both their sound and crowds with each subsequent album while maintaining their characteristic arm-around-the-shoulder warmness. This is primarily what makes Ghost Stories so interesting. For all intents and purposes, it’s as close to being Parachutes Part II as Beck’s Morning Phase was to being Sea Change Part II. 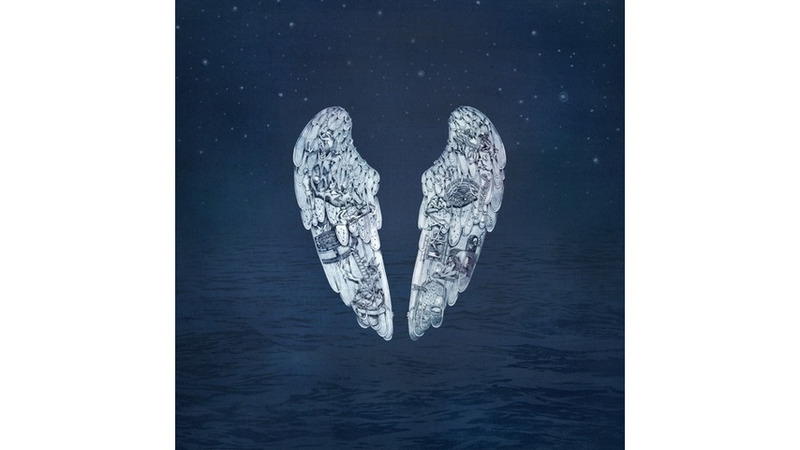 Like Parachutes, Ghost Stories only really has one blow-the-roof-off-the-big-arena song (the Avicii collaboration “A Sky Full of Stars”) and is otherwise populated by the kind of inviting, comforting quietness Coldplay got its start with. No one’s going to be made a believer by this record who wasn’t already. If you think Coldplay has built their career around ripping off bands like Radiohead, Travis, etc., then “Midnight” will vindicate your cause. As has been pointed out, it sounds like a Bon Iver song. But seriously, it really, really does. The good news is it sounds like a good Bon Iver song. Moreover, if your distaste for Coldplay stems from Martin’s simple and sometimes schmaltzy lyrics, he’s sticking to his guns here. In fact, his lyrics are probably more basic on this record than any of their others. But let’s pretend for a minute those aren’t the best criticisms of them or any band. Let’s pretend for a minute Animal Collective sometimes writes similarly simplistic lyrics and Radiohead has written songs that sound as close to their influences (Flying Lotus, Sigur Ros, Aphex Twin, etc.) as Coldplay’s occasionally do to theirs. For that matter, let’s pretend it’s okay to appreciate Coldplay in the same vein most of us would openly admit to appreciating songs like “Forever Young” by Alphaville or “If You Leave” by Orchestral Manoeuvres in the Dark—in other words, to appreciate songs whose main purpose is to make us feel good about the more nostalgic, sappy and John-Hughes-movie parts of human nature. Because, like it or not, they are parts of human nature. If you’re willing to play this game of make believe or are courageous enough to admit it’s not make believe at all, Ghost Stories is one of the best records Coldplay has ever released. It’s them getting back to their roots after taking the majority of the world by storm. For the most part, gone is the orchestral, light experimentalism of Viva la Vida and the synthed-out bombast of Mylo Xyloto. There’s not much room for comparison even to the spacey echoes of X&Y. This is the same Coldplay who made Parachutes and A Rush of Blood to the Head updated for more than a decade after their first arrival on to the scene. “Always In My Head” is the kind of album opener which situates you in the stars you find on the album’s cover. It takes you outside of yourself while enlivening your experience of life as it is. Then comes one of the singles, “Magic,” whose lively acoustic strumming toward the end of the track is one of the album’s highlights. “Ink” is a litmus test. It’s about as cheesy as they get and, on the first listen or two, it’s hard to enjoy for that very reason. But, soon enough, the lyrics have gotten ingrained into your head and so has the light guitar noodling and In Rainbows beat. In short, you’re infected and that’s just how it’s going to be. “Midnight” is, as mentioned above, as good a Bon Iver song as you’ll find on their second record. The most Coldplay moment on the album is when Martin sings “Say that you love me / And if you don’t, then lie” in “True Love.” It’s this kind of wounded romanticism that made A Rush of Blood to the Head such a wonderful album, and it’s good to see it back here. “Another’s Arms” is one of the weaker tracks but still better than plenty of songs from this album’s immediate predecessor. “Oceans” sounds like it legitimately could’ve been stolen from the Parachutes sessions. If its main mission was to transmit you back to the first time you ever heard about Coldplay, then it succeeds in spades. “A Sky Full of Stars” is how all of Mylo Xyloto should’ve sounded and “O” is a piano ballad too archetypically pretty to frown upon. If you’ve always hated Coldplay, Ghost Stories may make you hate them a little less. If you just didn’t like the direction they went after Rush of Blood, you’re going to be very satisfied with this new release. If you’ve never had a problem with Coldplay, if you are one of those who openly admits they love Coldplay to the chagrin of their musically savvy friends (like this reviewer), then Ghost Stories is as worthy of canonization as any of their other much-beloved records. Coldplay is never going to be cool. Don’t let that get in the way of realizing that Coldplay is always going to be warm, nostalgic, melancholy, pleasant, innocent and good. They’re as much a warm word and an arm around the shoulder now as they were when they first showed up.